A bleak report issued today by the Russian Federal Medical-Biological Agency (FMBA) for the Russian Ministry of Defense (MoD) on the ever growing Ebola virus apocalypse currently devastating a number of Western African nations (and so out of control that governments there have revived a disease-fighting tactic not used in nearly a century called the “cordon sanitaire”) is warning today that the “mysterious causations” relating to the spread of this disease cannot be ruled out as being “biowarfare in nature”. 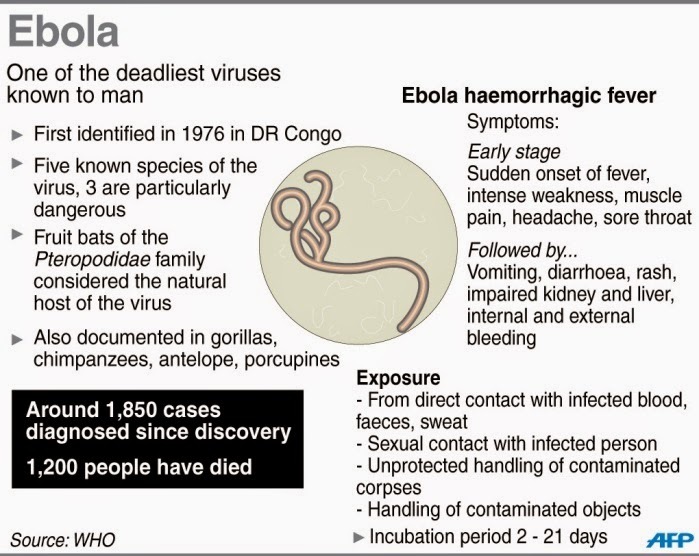 Ebola virus disease (EVD) or Ebola hemorrhagic fever (EHF), this report says, is a disease that affects humans and primates caused by the Ebola virus and three other closely related viruses in the genus (group of related viruses) “ebolavirus”. It is a hemorrhagic fever, meaning that victims may bleed inside the body or externally, and it has one of the highest case fatality rates (death rates) of any disease, killing between 50% and 90% of victims and has an incubation period of 21 days. 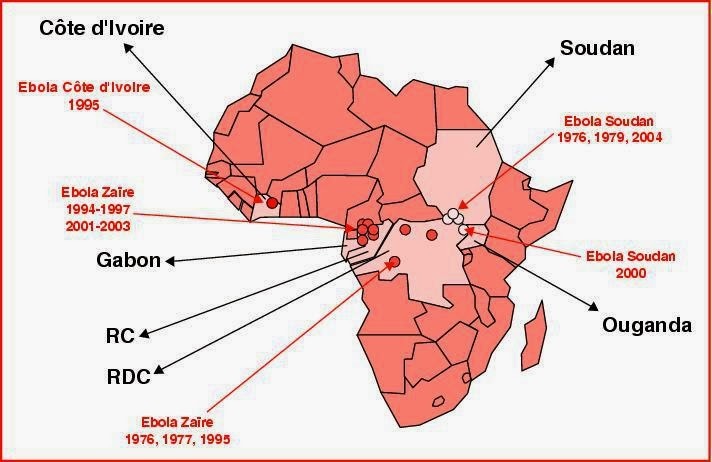 From 1976, when Ebola was first identified, through 2013, this report continues, fewer than 1,000 people per year had been infected by this virus which was first isolated during outbreaks in the African nations of Zaire and Sudan. In April of this year, this report says, the French-founded international humanitarian-aid non-governmental organization Médecins Sans Frontières (MSF) [aka Doctors Without Borders] reported an “unprecedented” outbreak of Ebola in the African nation of Guinea…not because of the number of victims (78 had died at that point) but because the disease had traveled to various parts of the country, and which had never happened in any other prior outbreak since 1976. Far from containing this outbreak though, this report grimly notes, the MSF effort to control the Ebola virus in Guinea this past spring totally failed for as yet “unknown/mysterious” reasons thus causing the leading experts of this disease to declare in Washington D.C. last week that an “apocalypse is now underway” in Western Africa. 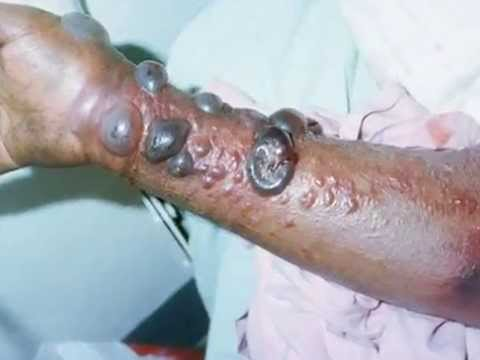 At last weeks Washington D.C. meeting on Ebola, this report notes, the US-based Centers for Disease Control (CDC) Director Dr. Tom Frieden stated that the number of infected and killed in this outbreak will likely “soon outnumber all other Ebola outbreaks in the past 32 years combined”. According to the CDC, there have already been more than 1,700 suspected and confirmed cases of Ebola in West Africa, and more than 900 deaths—numbers that Dr. Frieden later called “too foggy” to be definitive. FMBA experts in this report agree with Dr. Frieden’s assessment that the current death toll and infected rate of this Ebola outbreak is “too foggy” to be definitively known at this time, but further horrifically acknowledge that the estimates of Ken Isaacs, the vice president of Program and Government Relations for the international relief organization Samaritan’s Purse, that these current numbers “represent just 25 to 50 percent of what is happening” may be closer to being accurate. 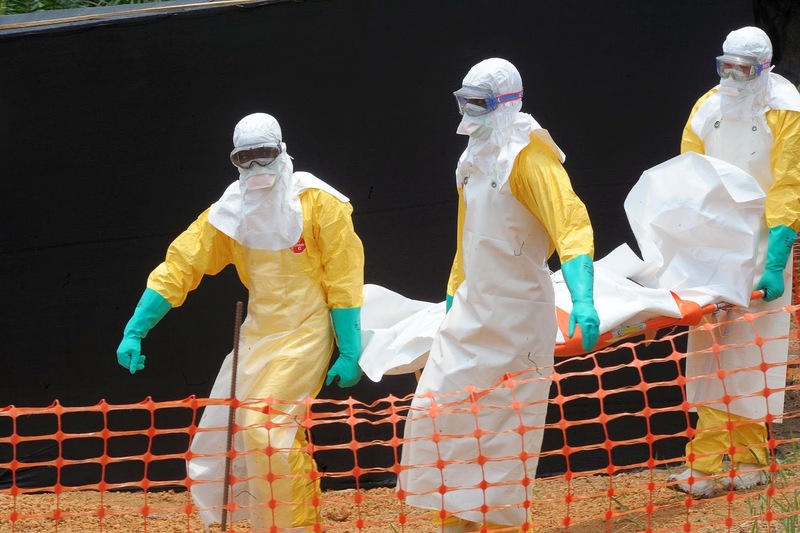 Most “gravely alarming” about these Ebola deaths, this report continues, are that they include over 170 health care workers experienced with this disease, all of whom were “dressed head to toe in suits that are specifically designed to prevent the spread of the virus”. “That is the one question about Ebola that nobody can seem to answer. The World Health Organization is reporting this as a fact, but no explanation is given as to why this is happening. We are just assured that Ebola “is not airborne” and that getting infected “requires close contact with the bodily fluids of an infected person”. As one explanation as to why these over 170 expert health workers have died, this report further warns, can be found in the statements made last week by Doctor-Scientist Vladimir Nikiforov, (Head of the Department of Infectious Diseases at the FMBA’s Institution of Advanced Training) who at a press conference in Moscow last week acknowledged that this Ebola virus may have been turned into a bioweapon. According to Dr. Nikiforov, “Actually, this virus can be used in the form of a spray, which can lead to very big trouble. 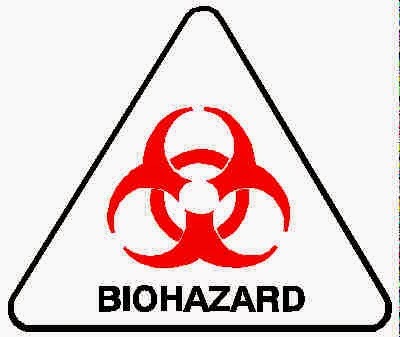 Biological weapons are nothing like a nuclear bomb… In order to make a nuclear bomb, one would require a uranium mine, a nuclear power plant and so on. But biological weapons are made in a small laboratory, which can be easily camouflaged. You know that there are rogue states. And here's the thing, I can’t guarantee that some country isn’t preparing something of the kind”. Dr. Nikiforov’s words were, also, grimly echoed last week by his counterpart from Cambridge University, Dr. Peter Walsh, who warned the UK public that a terrorist could use the Ebola virus to create a dirty bomb. The biological anthropologist told the Sun newspaper that he fears “large number of horrific deaths” if “a group manages to harness the virus as a power then explodes it as a bomb in a highly populated public area”. To which “rogue state” would desire to weaponize the Ebola virus this FMBA report doesn’t say. However, a MoD appendix to this report, which “grades” the nations able to make such an “apocalyptic weapon” from the Ebola virus and in the past has actually used them, the United States comes out on top as the “most likely” to not only be behind such an effort, but may actually have planned this outbreak to begin with. As “mini war zones” continue to erupt in the US, this MoD appendix says, the police in that nation have been transformed from protecting the public into their protecting government from the public, with the worst offenders being those who “don't shape up and work slave-type jobs for unlivable wages” consigned to their vast gulag of prisons or outright public execution. Decades of social decay in the US, the MoD says, has created a situation in that nation that has reached the point where the thin veneer of civilization that they all take for granted every single day is wearing dangerously thin, and which a “timely” apocalyptic plague would help cure for their elite classes. And to if the morality of these US elite classes would allow such a barbaric act to occur using a weaponized Ebola virus, this MoD appendix grimly concludes, one need look no further than Cristina Richie, of Boston College’s Department of Theology who argues for the genocide of babies (whom she labels “carbon legacies”) as a means of fighting climate change. And in Richie’s own words: “A carbon footprint is the aggregate of resource use and carbon emissions over a person’s life. A carbon legacy occurs when a person chooses to procreate. All people have carbon footprints; only people with biological children have carbon legacies. And more simply put…in a nation that has one of their top religious universities professors arguing for the genocide of babies to “prevent” climate change…could anyone really say they wouldn’t also exterminate as many “useless eaters” as they could and knew they could get by with it?